They announced the free games for February 2019! Not a bad line up, games I haven’t really heard of besides in passing. I’ve never been much of a Hitman guy, the games seem complicated with all of the options one has for stealth kills but I’ll give it a try. I was trying to hold out until someone was nice enough to link to the games respected pages but that doesn’t seem to be happening. Easy enough to do through the website though. You can’t select all but you can add them separately and then purchase all at once. PSA: By owning Hitman Season One, you can upgrade all the levels into Hitman 2’s engine for a major visual and slight gameplay upgrade, but the process is somewhat obscure. Redeem the season on PS+. Download the main “Hitman” app that it comes with, the level files shouldn’t be needed. When prompted, redeem the “Legacy Pack” on the main menu. Download “Hitman 2 Prologue” for free on the Playstation Store, along with all the “Legacy Pack” files. And that’s it, feel free to delete the original “Hitman” app. I’m sure it makes more sense once it is live and available to do. It just seems a tad complicated. Like, how is that demo able to hold so much information, usually demos are barely the size of the demo but it must work as others are commenting that it works. Also, the trophies are available for the first game, through the demo, which also sounds odd. But by doing this, you get to play Season One with better graphics, so it might be worth trying. I’ll attempt it and see how it all goes. There is some discussion regarding how the Season One has more content than if you do the above trick, which is what I can only imagine was the way. I haven’t heard of a company that just lifts a game and dumps it into the sequel, besides Pac-World having the option to play basic Pac-Man in it. From another thread, all of the main levels from 1 are in 2 but none of the bonus content per level is there. So I might just stick with the proper Season One game for the proper experience. My plan is to pause Spider-Man and attempt the four games available to me. For Honor doesn’t sound like my type of game, it has a single player campaign but it is mostly a multiplayer game. Gunhouse is a tower defense game, which I’m pretty sure I’ve never play so I’m not sure that’ll be for me. Rogue Aces sounds like a fun airplane fighter game like the old Red Baron game on PC. Which I only got to watch my father play and he wasn’t really good at it but refused to let me play. 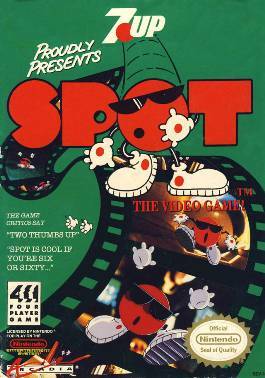 But this is the same guy who was upset that I was able to play with relative skill the 7UP Spot game from back in the day and he couldn’t. As usual, here are the videos from my peeps. I’m surprised they went with Nathan for this video as Rob is such a Metal Gear Solid fan but Nathan only reviews the two PS4 proper games so that’s that. I do like how his videos are mostly reviews of the games. Hitman was his 2016 Game of the Year, so that’s pretty impressive. The Complete First Season means that it comes with additional DLC and a few costumes too. He makes all of the games sound pretty fun actually. Gunhouse is about saving towers full of orphans against insanely designed bosses. These two videos went up so fast! On the trophy side of things : For Honor is a 5/10 Trophy Difficulty, but I’m just going to stick with the single player mode as I don’t really do Multiplayer. There’s a few glitch trophies too. Shame Hitman doesn’t have a Platinum but that happens from time to time. I like that it is a 3/10 difficulty, as I’m a tad concern with the stealth elements. I do like using stealth in both Spider-Man and the Batman Arkham games. Gunhouse doesn’t have much information except that only five people completed the trophy list. Rogue Aces was more popular Vita game and has a platinum. I’ll play this one and it looks kid friendly too so I’ll see if Walker can handle the controls. Following the announcement, a representative for Sony told Polygon that after February 2019, the monthly PlayStation Plus lineups will consist only of two free PS4 games. Which is a real shame, as I was hoping to at least get two games from the early PS4 days of 2013/2014 as I’m sure there are plenty that can be offered. It is nice that the PS3 is going out with a bang with Metal Gear Solid 4, which I played and got pretty far (I bet I wasn’t even half way through) but I just couldn’t connect with it. Now, I’ll be all for playing it and giving it a proper try. I’m hoping playing these games will give me a great appreciation for different genres. I can be more than just the action adventure gamer that I know myself to be. Also worth noting, is that the cloud saves of games is being expanded from 10GB to 100GB, which seems pretty nice. I wasn’t nowhere near my 10GB but now I don’t have to worry about it at all. I’m getting old dad status and haven’t gotten much further in Spider-Man. I’m still in the middle of Silver Linings, I just got the mystery investigation started. So now my map is open, so I’ll knock those out and any crimes that come along the way. Getting the map cleared unlocks the Into the Spider-Verse costume. Which I wouldn’t mind completing the game in that suit. 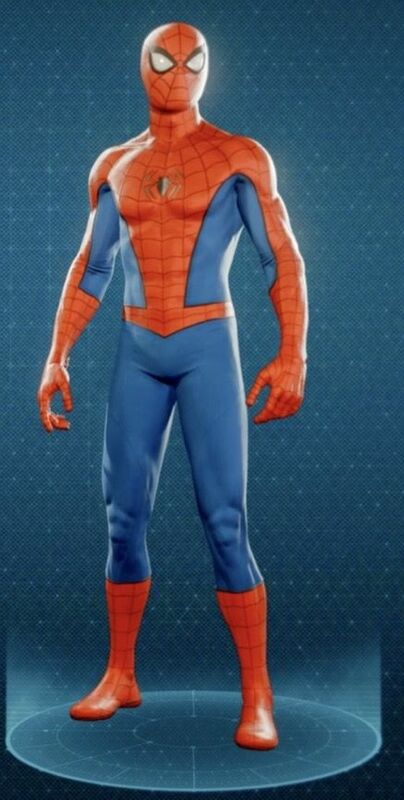 Also, Insomniac released two new Fantastic Four themed suits, and for free too! I would have gladly threw another ten dollars their way to get a proper DLC pack with further content like levels but getting it for free is fantastic! Walker Dennis isn’t a fan of either of them, as he prefers the classic red and blue or the underwear costume. So he’s an odd duck. Once again, thanks to Polygon for such great pictures! I wish I could play them together on the same line but WordPress seems to be fighting me on that. 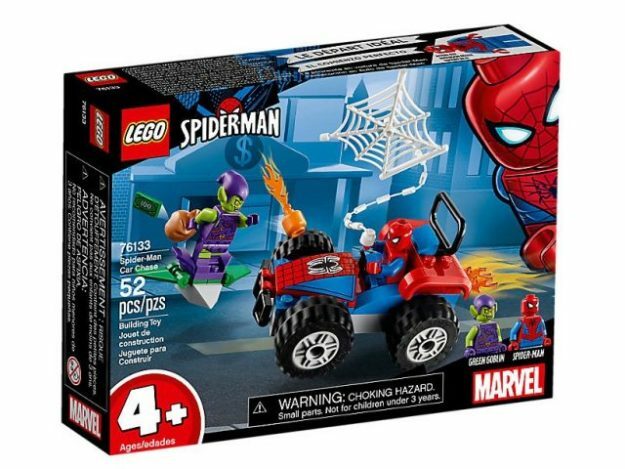 I also got him a Lego Spider-Man playset that came with the Spider-Mobile and Green Goblin! Target had the shelf tag listed for $20 but then it turned out to only be $10. Now he really wants Miles as he’s a huge fan of Into the Spider-Verse. Which most likely the BluRay + Digital Code will end up in his Easter basket too. 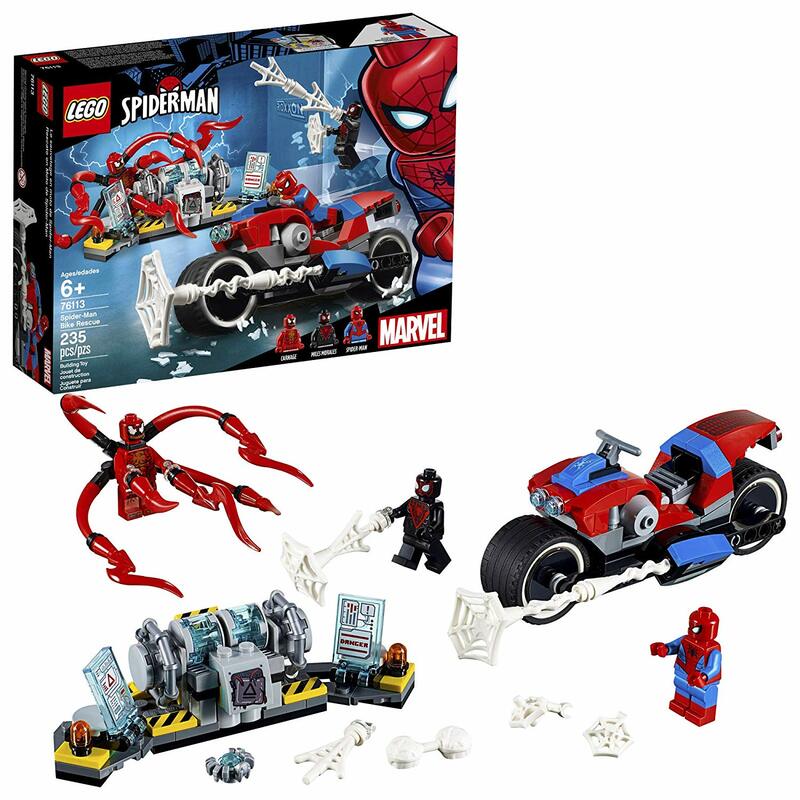 The only set I saw that came with Miles also came with another Peter Parker Spider-Man and he really doesn’t need two. Actually now that I have both pictures next to each other, it looks like a modified Spider-Man, which is nice. I guess one of them can be a bad Spider-Man, that’s what we did when he ended up with two Captain Americas from the Titan Hero line. So now his Avengers can fight Thanos and Evil Cap. 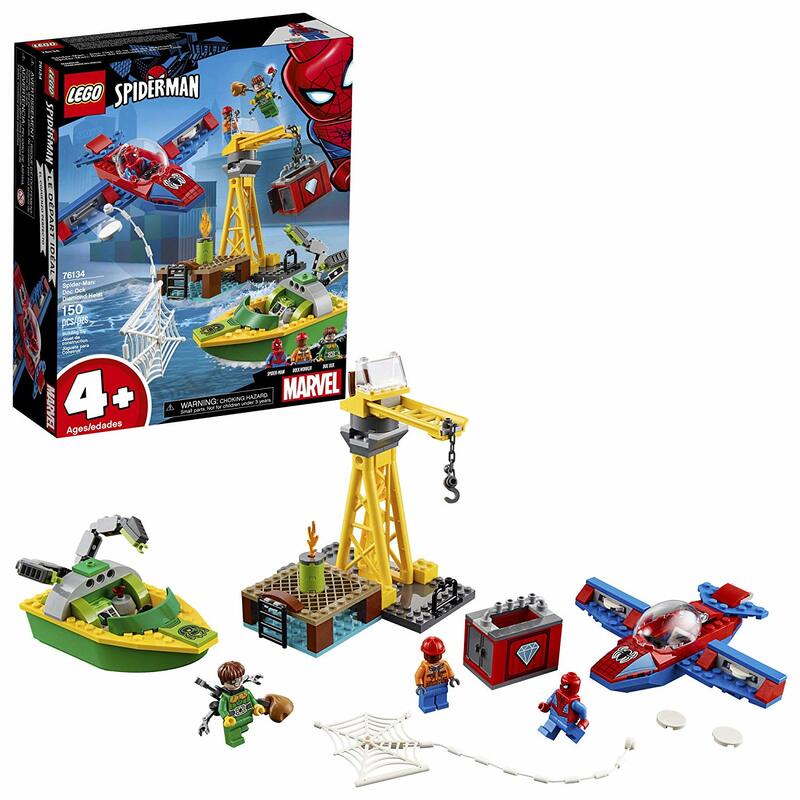 I get why they want to make sure a person gets a traditional Spider-Man but if I wanted to get my son a set that features Doctor Octopus too, then we’ll have three traditional Spider-Mans and I want to say the basic suit was the same in all three sets. Both of these sets are $30 each, which is disappointing but they each come with two vehicles so I can see the value there. Miles by himself is $12 so I might as well get a set that he comes with. Then again, $30 and then we’re done with Legos for a while, so that’s not a bad deal either. I’ve been having to come to work early, so I haven’t been allowing myself to stay up late. I’ve been feeling pretty good as I’m waking up feeling refreshed and not groggy at all. But I’ll find a balance again as I’ve been missing my gaming time but I’ve been so tired come 10:30pm these past few nights. So Tuesday/Wednesday nights are no longer going to be game nights for me. It was a pretty good run though. Walker Dennis has gotten all of his Lego Dimensions characters he’s going to get for the time being. In a short span of time, he got Emmet, Green Arrow, Starfire, and Marty. He still has 66 gold bricks to spend, which makes me want to get him a few more characters but it’ll have to wait until Easter, as he really has plenty of content to play with. He really wants Benny and Unikitty to complete the Lego Movie set and he really wants Doc Brown as he’s a huge Back to the Future fan now as well. Heck, even Chad Wild Clay and Vy Qwaint (and Daniel too!) got into the Back to the Future rhythm so that time out perfectly. I’m not sure why they went that route but they sure did. Once Joseph Banks showed up originally, I shook my head as he was a clear ripoff of Doc Brown but then it all paid off. I also showed Walker the time Marty and Doc Brown showed up on Jimmy Kimmel, which is a tad awkward to watch but Michael J. Fox and Christopher Lloyd were great sports about it. It made me want to rewatch Interstate 60 which I’m always up for rewatching but also overdue in rewatching it as it has been a few years. Too many years. Such a great cast and written and directed by Back to the Future co-creator, Bob Gale. I actually got to see this at a panel at San Diego Comic Con in 2002, my last year attending it, I got to see test footage of Doc Ock’s arms as a lead up to Spider-Man 2. Gosh, 2002 was a different age. Yes, that’s Amy Jo Johnson’s back. Great commentary track too with Gale and Marsden.